What started off as a casual "wouldn't it be nice if" statement, suddenly became a symbolic sigh of relief for teachers across our district. Over the past several years, our district has adopted a multitude of new technologies to assist teachers and staff with time/class management and their daily professional responsibilities. Unfortunately, this came at the cost of teachers having to manage close to a dozen different websites and user accounts. Our email client is separate from our LMS which is separate from our wiki server which is separate from our student information system which is separate from the...you get the idea. What we needed was a central place teachers could visit to access the resources they use on a daily basis. We also wanted this resource of be user-friendly and aesthetically pleasing. 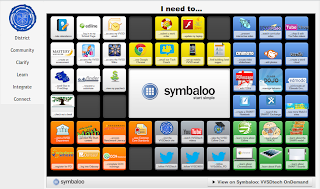 I knew Symbaloo had a massive following by elementary school teachers due to the colorful, push-button like functionality of the "webmixes". As a high school teacher, I admit I was turned off at first by the simplicity of it all. I soon realized that it could have huge potential as a landing page for web resources. Its appearance mimics one of my favorite Web2.0 resources, go2web20.net. Once I made the comparison, I instantly considered ways I could leverage its simplicity and functionality. Finally, it hit me. Provide our teachers with a dash-board-of-sorts for the web resources they're required to access daily. This resource would not only prove useful to current teachers, but even more so to guest teachers (substitute teachers) and new teachers to the district. From this idea, the VVSDtech OnDemand page was formed. 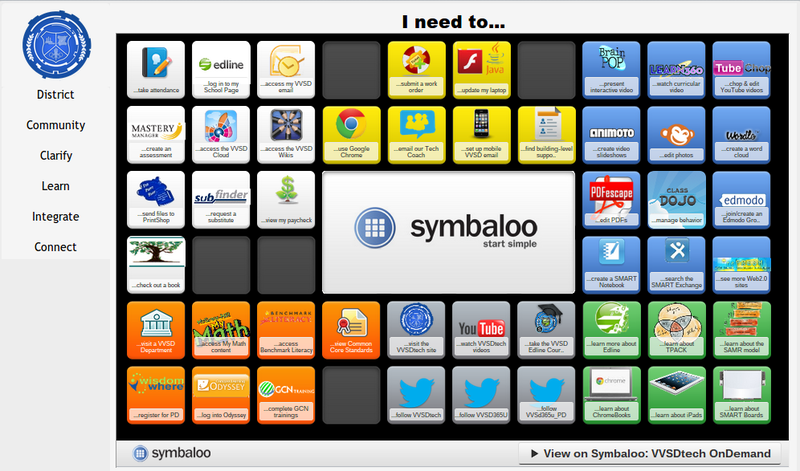 Widgets like Google Search, Calculator, Twitter, Translator, etc. Today is Valley View School District's New Teacher Orientation. Today, we plan on unveiling the VVSDtech OnDemand page and are hoping that it exceeds their expectations. I'd love to hear your feedback! Leave a comment below.